Medieval No More: Mead Enjoys A Renaissance The fermented honey wine you read about in Chaucer and Beowulf is no longer stuck in the Dark Ages. Business is booming at meaderies around the country as Americans embrace eating — and drinking — locally. Long associated with the Middle Ages, mead, a fermented honey wine, is making a comeback — and not just at Renaissance fairs. Above, jugs of mead at Brothers Drake meadery in Columbus, Ohio. Mead, the honey wine of yesteryear and the preferred drinks of Beowulf, Geoffrey Chaucer and Vikings hasn't been popular since, well, Beowulf, Geoffrey Chaucer and Vikings. Long relegated to Renaissance fairs and fantasy books, the drink was stuck in the Dark Ages. But mead is gradually making its way back into the mainstream. Over the past decade, the number of meaderies — places that ferment honey for production, like Brothers Drake in Columbus, Ohio — has boomed. "When I first conceived of the idea of having a business, there were about 30 meaderies nationwide," says Woody Drake, one of Brothers Drake's resident mead masters. "Now, they're pushing 200. That's only been six years, so that'll give you an idea of how things are growing." It's a re-emergence seen across the country. 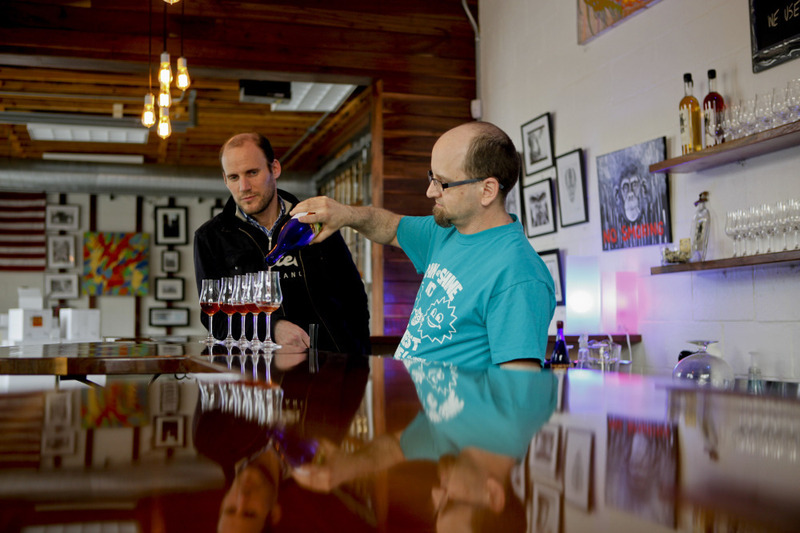 Ben and Becky Starr opened Starrlight Mead in Pittsboro, N.C., less than a year ago. They'd been introduced to the drink at Renaissance fairs and started fermenting honey at home. When the batches became drinkable, they started giving it to friends and neighbors who raved about it. Now, they are the ones doing the mead introductions. "This one is lightly sweetened; the boysenberry is added after," Ben Starr explains to a crowd assembled at a recent Renaissance fair in Knightdale, N.C.
His wife, Becky Starr, wearing a green velvet dress with billowing white sleeves and a corset, pours small samples of the amber drink. The fair-goers are surrounded by jousting knights, juggling magicians and singing bards, but they aren't your typical Renaissance crowd. Most of the mead tasters — "mead virgins" Becky calls them — are in blue jeans and tennis shoes ... not the period costumes the fairs are known for. They taste a range of flavors — sweet, dry, tart — all of which are well received. "If people try it, they like it," says Becky. And that enthusiasm has been reflected in their meadery's sales. "We're still selling about twice as much as we expected to do our first year," says Ben. "It's been crazy. We've run out of almost every flavor twice." Anecdotal stories aside, it's hard to say just how much mead production has grown. 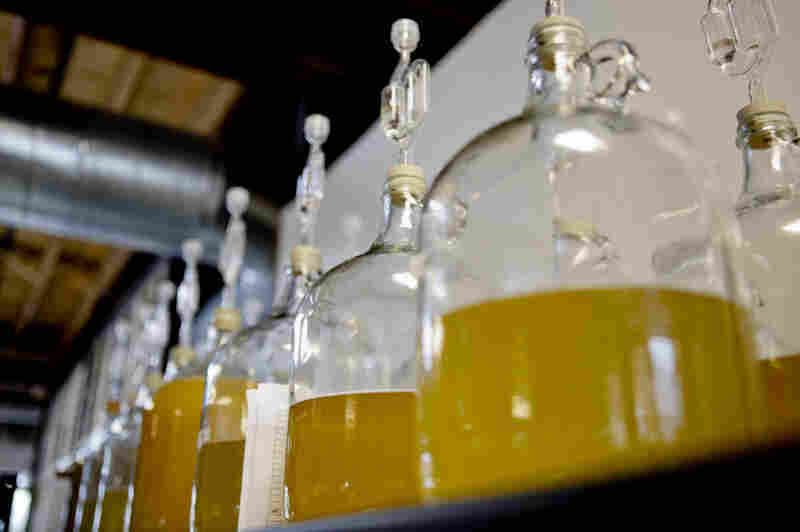 Because mead is made of a mixture of honey, yeast and water, it's an agriculturally based alcohol, says Cary Greene, the chief operating officer of WineAmerica, a trade association that represents the industry in Washington, D.C. Under federal definition, all agricultural products that are fermented to make alcohol — like apples for cider and grapes for wine — fall under the same umbrella as mead. Separating the individual growth of each product is hard to do. That said, "It's astonishing the level of growth we've seen in the last decade," says Greene — but that's not necessarily a surprise. "There's lots of different products that have changed and gone in and out of fashion over the years," he says. "If you go back to the Colonial period, everybody drank cider. It was the beverage of choice. Cider and beer: those were the two choices everyone had on their tables. In some ways, cider isn't thought of as a mainstream product anymore either." But the mead-making boom is really thanks to the resurgence in America's taste for wine and a renewal of interest in eating (or in this case, drinking) local. "The idea of locality — of using the agriculture of the local area — that is something that's also caught on in the last decade and it's a new model for rural economic development," Greene explains. "Mead is definitely a part of that." Woody Drake, mead master at Brothers Drake, pours samples as general manager Oren Benary (left) observes. It's a common misconception that mead is an exclusively sweet drink. "Mead goes everywhere from dry to sweet and everything in between," Drake says. 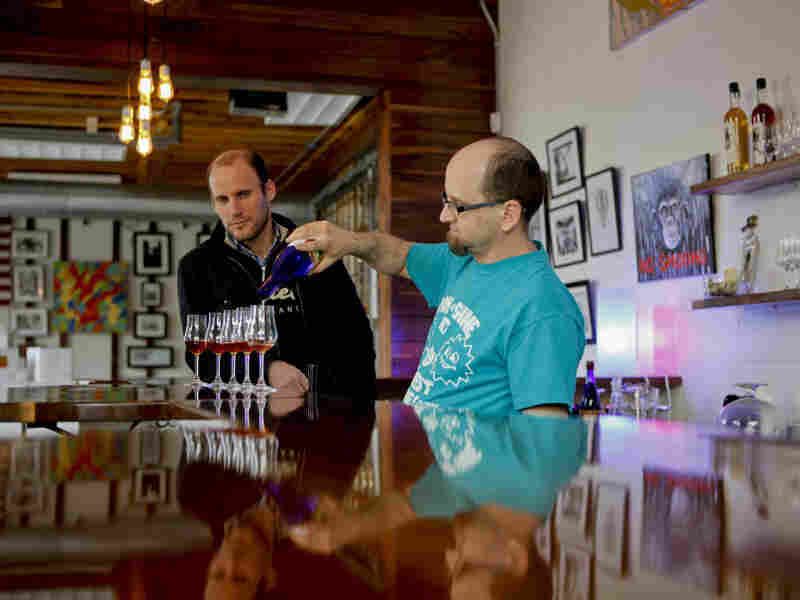 Brothers Drake is big on local appeal; the Columbus meadery's business model is inspired by a commitment to local products. One side of the warehouse-style meadery is all production — growlers of new mead flavors, 55-gallon drums of honey and large metal vats. The other is all show — eclectic art from a studio down the road, a polished walnut bar from a fallen tree in a friend's yard. Oren Benary, Brothers Drake's general manager, describes the meadery as "truly local." All ingredients are bought and all products are sold locally. "It's a very old idea where you make what you consume and you consume what you make and there's nothing wrong with that," he says. The meadery, located right next to Ohio State University, draws a young crowd: mostly mead newbies who don't know much about the drink beyond what they learned in English class. Benary and his mead master, Woody Drake, are happy to educate. There's a widely held belief that mead is only sweet, Drake says. That's wrong. "Mead goes everywhere from dry to sweet and everything in between," he says, "There's the right mead with the right meal, just like there's the wrong mead with the same food. It's the same as it is with grape wine and beer." Once people are introduced to a well-paired mead, they're hooked, so it's just a matter of getting people to raise a glass. To attract future mead fans, the meadery invites local bands to play on Saturday nights. "Somebody came in the other day and they saw our place and they said, 'Wow this place is hip,'" Benary says. "And I looked at the person and said, 'Yeah mead is hip, imagine that." And hip means business, like it's 1380 all over again. Nathan Rott and Abby Verbosky also contributed to this story.